Mr. Nelson’s experience includes over twenty eight (28) years of practice in Circuit and County Courts in Florida. Mr. Nelson’s experience also includes representing clients in arbitration and mediation. 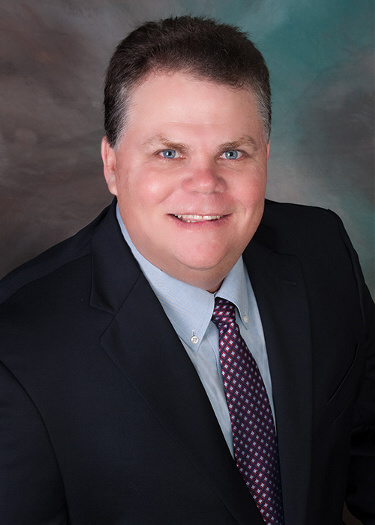 Mr. Nelson is a member in good standing of The Florida Bar Association, the United States District Court for the Middle District of Florida and the Manatee County Bar Association. Mr. Nelson is a past President and a past Director of the Manatee County Bar Association. Mr. Nelson is also a Florida Supreme Court certified Circuit Court Mediator. Mr. Nelson attended the University of Florida from 1979 – 1981 before transferring to the University of Notre Dame where he majored in Government and International Relations and obtained a Bachelor of Arts Degree in 1984. Mr. Nelson obtained a Juris Doctorate Degree from Stetson University College of Law in 1987. In 1987 Mr. Nelson moved to Bradenton, Florida from St. Petersburg, Florida with his wife, Margie and he joined the law firm of Harllee, Porges, Hamlin & Brownell, P.A. (n/k/a Porges, Hamlin, Knowles & Hawk, P.A. ) where he was a shareholder from 1993 – 2002. Mr. Nelson was a shareholder in the law firm of Ozark, Perron & Nelson, P.A. from 2002 to 2014, until he formed his own law firm in July of 2014. Mr. Nelson has previously served as President of South Manatee Sertoma Club, Chairman of the Board of Gulf Coast Marine Institute, Director and Chairman of the Agency Relations and Allocations Committee of the United Way of Manatee County, Governmental Affairs Chair and Director of the HomeBuilders Association of Manatee County, Chairman of the Young Children Priority One Committee and Vice President of the Bradenton Kiwanis Club. Mr. Nelson was a Manatee High School Mock Trial Team Coach for eight years from 2004 through 2012. Mr. Nelson remains a member of the Bradenton Kiwanis Club and is secretary at the Bradenton Kiwanis Foundation. The firm of Law Office of Mark A. Nelson, P.A. currently represents numerous businesses and individuals throughout the State of Florida. Copyright © 2015-2018 Law Office of Mark Nelson P.A. All Rights Reserved. Website design by: Bradenton Web Design Company Deckard & Company.